If there is one fabric that holds a winning position in the fashion world, it is silk. With India being the 2nd producer of silk in the world, there are many ways where silk is incorporated into Indian attires. One such classic attire is silk salwar suits embellished with embroidery, stones and other threadwork that gives out an exquisite look. 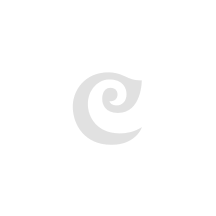 To match the current trend, Craftsvilla offers raw silk salwar suits in a variety of colours and patterns. These suits are colourful with intricate designs and patterns that stand out. The entire collection of raw silk salwar suits include various styles, such as Anarkalis, A-line suits, Pakistani suits, Patiala suits, straight suits, jacket style suits, traditional suits, designer suits and unstitched suits. These raw silk suits are ideal for any occasion and setting. Designer suits are luxury clothing made with high quality fabrics with unique patterns and non-traditional styles. You can fill your wardrobe with designer suit with the unstitched raw silk suits available on Craftsvilla. 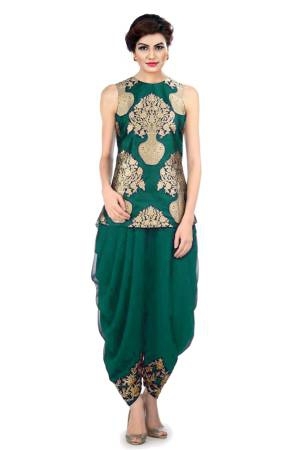 You can opt for a Bollywood design with narrow cuts, long length and flattering necklines. A snug and a perfect fit suit in raw silk is ideal for all formal events. Raw silk suits also come with detailed embroidery that gives out an opulent look and are an excellent choice for formal occasions. The detailed embroidery stands out and creates visual appeal. Raw silk suits with sparkling embroidery are also quite attractive and gorgeous. Another version of embroidered raw silk suits are those with fabric embellishments, such as stones, crystals, beads, and scalloped necklines. These suits are an excellent choice for weddings, festivals, cultural events and ceremonies for such suits, wear minimal or no jewellery. Choose simple earrings or bangles instead of elaborate jewellery. For necklines with details, scallop or embroidery, do not opt for neck jewellery. A popular style among raw silk suits are the Anarkali suits. These suits are available on Craftsvilla as semi stitched dress materials or just Anarkali tops. Anarkalis work for most body types with few changes or alterations. Those who are bit heavy on the upper body can choose raw silk Anarkali suits with minimal embellishments or embroidery on the top with heavy work on the lower half. Those who are petite can choose raw silk Anarkali suits without much flare or work in bright colours. Any type of raw silk suits that you like or desire is available on Craftsvilla. Pick up a ladies suit of your choice and look stylish!